Koh Chang size is second only to Phuket, but the Russian tourists do not often visit it today. This Thai resort where the tourist industry is a relatively new. 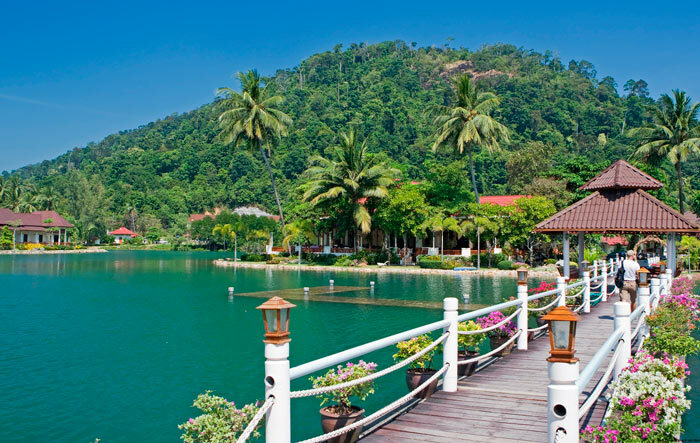 The island itself is developed as a seaside resort, nature reserve, where available to the guests invited to the local untouched nature and enormous wealth of the underwater world, so that Koh Chang is great for diving, sea fishing or snorkeling. But it is no less attractive for a beach holiday that provides a clean coastal waters and beautiful white sand beaches. The descent to the sea is very shallow, which makes the resort favorable for families with young children. To accommodate the tourists are offered modern hotels, the best of which are located in the western part of the island.